Is a Restrictive Covenant With a Limitation on "Stories" Enforceable? - Ward and Smith, P.A. Is a Restrictive Covenant With a Limitation on "Stories" Enforceable? Consider the following scenario: Your client, a builder of residential homes, purchases six vacant lots in a partially developed subdivision consisting of 100 lots. The subdivision (including your client's lots) is governed by restrictive covenants recorded by the developer which state that "no structure shall be erected, placed, altered or permitted to remain on any lot other than one detached single family dwelling not to exceed two stories in height." (Emphasis added). The term "stories" is not defined in the covenants. The covenants require that construction plans must be submitted to and approved by the developer until the developer passes the responsibility for architectural review over to the homeowner's association. Your client submits plans to the developer for a "two-story residence with a walk-up attic." The walk-up attic is less than 50 percent of the square footage of the floor below, but it will be heated and cooled and have two rooms, an open space, and a full bathroom. From the street, the house appears to have only two stories, it is similar in overall appearance to existing homes in the subdivision, and it is below the height limitation set forth in the local zoning ordinance. The developer approves the plan and your client builds the residence and begins marketing it for sale. 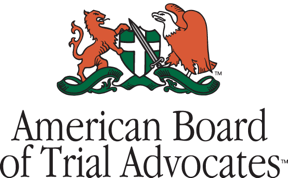 Owners of lots next to your client's lot complain to the association Board that the new home violates the "two-story" restriction contained in the covenants. The Board sends your client a notice of violation and, following a hearing, finds that the home violates the covenants. The Board then gives your client thirty days to bring the home into compliance with the covenants. Your client wants to build similar homes on the other lots he has purchased and asks for your advice as to how he should proceed. As the late, great Karl Malden used to say in American Express Traveler's Checks commercials, "What will you do? What will you do?" The issue here is the meaning of the phrase "one detached single family dwelling not to exceed two stories in height." Is the term "stories" dispositive, or does the phrase "in height" control? While there is no specific North Carolina case on point, appellate courts in several other jurisdictions have considered the issue. In those cases, some courts focus more on the use of the space, and others focus on the lack of concrete dimensions or numerical measurements in the restrictions. In the former, the courts have generally found that such restrictions are clear and unambiguous, while the courts in the latter have found that they are vague and ambiguous. For example, in Kamphaus v. Burns, Case No. 279962 (Mich. Ct. App. Feb. 26, 2009), the defendant's deed contained a provision that "no structure shall be erected on any lot in said subdivision except one detached single family dwelling not to exceed two stories in height." (Emphasis added). The defendant constructed a house which had an unfinished space between the second floor ceiling and the roof. The space was accessible by stairs, but covered only a small portion of the second floor. After a 13-day bench trial, the trial court found that the deed restriction was valid and enforceable against the defendant and that the defendant did not violate the height restriction because the house had two stories and some unfinished attic space, not a third story. The plaintiffs appealed. On appeal, the Michigan Court of Appeals focused on the term "stories" and held that the term, as used in the defendant's deed, referred to habitable living space, not merely any space above a second story. Because the term "stories" was not defined in the deed, the Michigan Court applied the ordinary, generally understood, and popular meaning of the term "story" as a set of rooms on the same floor of a building. The court found that the term "story," as it pertains to homes, means a level of useable living space, and means something more than just space between the ceiling of a lower floor and the roof of a house. Based on this interpretation, the Michigan Court agreed with the trial court's ruling that the deed restriction did not prohibit the existence of the unfinished space even though it could be accessed by stairs and the house towered over others in the neighborhood. In Holmesley v. Walk, 72 Ark. App. 433 (2001), the Arkansas Court of Appeals enforced a restrictive covenant that prohibited the construction of a two-story home on a lakefront lot. Both parties agreed the restriction was unambiguous, and the court found that the intent of the restriction was to prevent any blockage of the view of the lake. The court also found that the defendant's partially constructed house was a two-story structure and that injunctive relief, which required the defendant to remove two bedrooms, a bathroom, and closet space from the second floor of the home, was required. 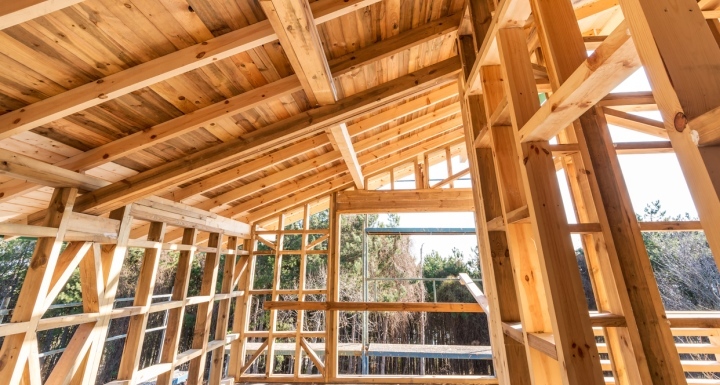 In a similar action in California, the California District Court of Appeal enforced a restrictive covenant limiting single family dwellings to not more than "one story in height" when it enjoined the defendant from constructing a garage with a room overhead. King v. Kugler, 197 Cal. App. 2d 651, 17 Cal. Rptr. 504 (Dist. Ct. App.1961). In each of these cases, the courts defined the term "story" as a habitable living space, found the restriction on "stories" to be clear and unambiguous, and held that the restriction could be enforced through injunctive relief. However, several other jurisdictions have found similar restrictions to be vague and ambiguous and, ultimately, unenforceable. For instance, in Hiner v. Hoffman, 90 Haw. 188, 977 P.2d 878 (1999), the Supreme Court of Hawai'i addressed the validity of a restrictive covenant which stated, "No dwelling shall be erected, altered, placed or permitted to remain on any lot . . . which exceeds two stories in height." The Supreme Court of Hawai'i found that the undisputed purpose and intent of the covenant was to restrict the height of the home, as opposed to the number of stories, in order to protect view planes. The court further found that, despite this clear purpose, the drafter of the covenant failed to prescribe in feet or by some other numerical measure the maximum height which homes could not exceed. Based on these findings, the court held that the failure to provide a definition or concrete dimension for the term "story" rendered the restrictive covenant ambiguous and unenforceable. Similarly, in Metius v. Julio, 27 Md. App. 491, 342 A.2d 348 (1975), the Maryland Court of Appeals held that a covenant that used the expression "three stories in height" was ambiguous; in Allen v. Reed, 155 P.3d 443 (Colo. App. Ct. 2006), the Colorado Court of Appeals held that a height limitation based on stories could be interpreted more than one way because the drafter failed to provide a numerical measurement for the maximum height of a story; and, in Johnson v. Linton, 491 S.W.2d 189 (Texas Civ. App. 1973), the Texas Court of Appeals concluded that the phrase "one and one-half stories in height" is ambiguous because it is susceptible to multiple meanings. The cases mentioned in this article are just a few of the decisions from other jurisdictions where courts have considered the enforceability of restrictive covenants with height limitations based on the number of "stories." Although some of the courts have found that such restrictions are tainted with ambiguity, others have enforced them. Those courts that have struck down the restrictions appear to focus on the lack of concrete measurements in the restrictions, while those that have enforced them appear to focus on the use of the space. In any event, the results appear to be significantly influenced by the specific facts presented and, in some cases, may have been decided by borrowing a definition for the word "story" from local building codes or ordinances. So, what advice should you give your client in the scenario? Since there are no North Carolina appellate cases on point, the best advice may be, "Proceed with Caution."